Launched in January 2016, our new Azalea day clubs, which are open from 10am to 3pm, provide a friendly and sociable environment where people feel safe and supported. The activity based day club is for people who have care needs or who may feel socially isolated. Transport to help get people there is available and with a wheelchair accessible minibus we can accommodate people with mobility difficulties. The clubs give people the opportunity to have time out of their home socialising with others in a supported and caring environment. It also provides the opportunity of a break for their carer. They run from 10am to 3pm and we provide a freshly cooked, two course lunch. The activities that take place at the clubs are what the people who attend have chosen to do but have included: gardening and growing vegetables, music and singing and arts and crafts. Sometimes when the weather is nice we just all go out for a trip. If you enjoy the company of others and want to do things our “Out & About” service, which offers a changing full month’s program of activities, is there for you. We provide door to door transport in fully accessible vehicles. The activities are all community based and run from Monday to Saturday from 9am up to midnight and are in a small group format. Every trip is risk assessed to ensure its safety and suitability for you and your loved one. 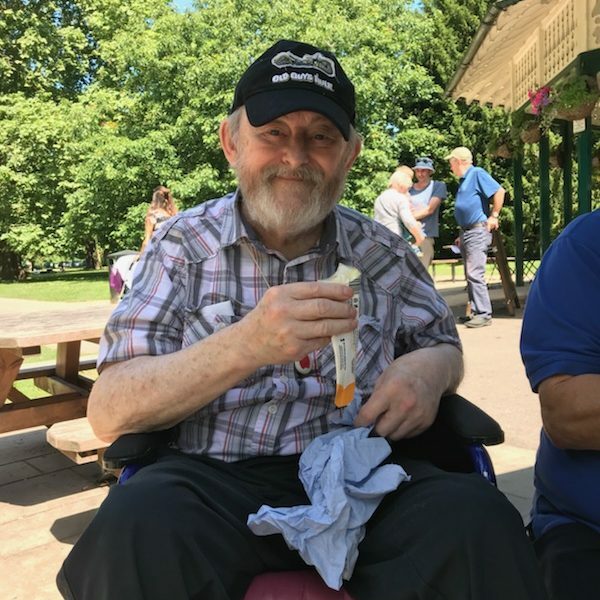 We ensure that at all times the people who use our service are at the centre of our work and therefore if you have any specific requests for particular activities or trips we will endeavour to offer them. Crossroads Care Central & East Gloucestershire respects the individuality of you, the carer, and the person you care for and seeks to promote your choice, independence, safety and dignity. We believe you should have access to high quality services that enable you to have a break from your caring responsibilities.